A Ockershausen:	This is Our Town, this is Andy Ockershausen. And I’m so pleased to have a special guest who’s really a WMAL personality, but he’s part of what we are here and that is a major, major market radio station. And people listen to this man. We’ll spend the next half hour or so talking to him about his life in Our Town, which we consider so important, his friendship with Supreme Court Justice Scalia, his law partner and lovely wife Victoria. I got that right, Joe, I didn’t say “Vicky”. And the passion he has for the law. He’s my friend, a local treasure, and a special guest, Joe diGenova, welcome to Our Town. 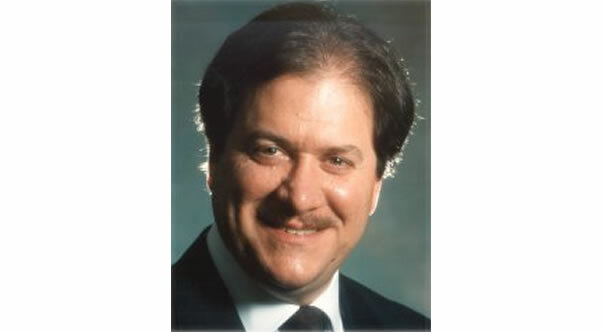 Joseph diGenova:	Great to be here with you, Andy. A Ockershausen:	Back on WMAL, which you never left. I did, but you stayed. Joseph diGenova:	That’s right. Every Monday morning, 7:05. A Ockershausen:	My wife just lives for that Monday morning. I thought she lived for me, but she lives for the radio show. Joseph diGenova:	It’s all right. A Ockershausen:	But Joe, you’ve had a spectacular career in Our Town and yet you are not from Our Town, you’re a Wilmington boy. Joseph diGenova:	I’m from Wilmington, Delaware, the hotbed of eastern radicalism, home of the DuPonts. Where nothing ever happens except people sit around and make money and go to private clubs. It’s a lovely little town. Went to a nice little Catholic boys’ school. A Ockershausen:	Fabulous. Christina River? Joseph diGenova:	Yeah, yeah, yeah. Beautiful. A Ockershausen:	I went through basic training up there in Delaware for the Air Force. And one of the highlights of my life was having my first submarine. Well, they called it a hoagie. The best bread I ever had was Wilmington, Delaware. A Ockershausen:	That’s what I remember the most. Joseph diGenova:	Yeah, I remember being drafted and then going to the US Post Office in Wilmington, getting on a bus and going to Philadelphia for my physical. A Ockershausen:	The naval hospital? Joseph diGenova:	Oh my God, it just … Awful experience. That was in the middle of the Vietnam War, baby. A Ockershausen:	Well, I was in the middle of the Korean War, and thank God I was at the end of it. Because I was reminding, we saw something of a tool company called Thule and I was one time on order to go to Thule, Greenland, and I quickly used all my friends to get out of that, I’m not going to Greenland. But Joe, and then you went to high school in Wilmington? A Ockershausen:	Great, great school. Joseph diGenova:	I’m a great believer in Catholic schools for boys and girls. I think it’s a great thing to have kids separated, educated separately. A Ockershausen:	Great education for our kids. Joseph diGenova:	I think it’s a wonderful thing. The boys and girls all grow up differently and it’s very exciting. It’s really fun. A Ockershausen:	Ain’t that a wonderful thing? Joseph diGenova:	Yeah, we didn’t have to worry about transgender bathrooms back in the 1960s, let me tell you. A Ockershausen:	But, you went through school and then you decided to go to the university in Washington D.C.? Joseph diGenova:	Yeah, I went to Georgetown to go to law school and I came here in 1967 and never left. A Ockershausen:	What a blessing for Our Town. Joseph diGenova:	Been here since 1967, it’s hard to believe but that’s 50 years. A Ockershausen:	I know, isn’t that great? A Ockershausen:	Joe, was Ed Bennett Williams a professor there then? Joseph diGenova:	He was, I did not have him, though. A Ockershausen:	You were downtown? They were downtown, 5th street, right? Joseph diGenova:	It was the old law school, the one there at 5th and E.
A Ockershausen:	Where is it now? It’s moved. A Ockershausen:	Right on campus? Joseph diGenova:	No, it’s right downtown, right off the Louisiana and Mass. A Ockershausen:	Oh, is it? I didn’t know that. Joseph diGenova:	New Jersey and Mass, New Jersey and Mass. A Ockershausen:	Went downtown to Georgetown. That was a surprise to people. Joseph diGenova:	Yes, right next to the Hyatt. A Ockershausen:	But that was a great education. It’s a city school, correct? Joseph diGenova:	Yeah. Well, back then Georgetown Law School had a great faculty, there were some liberal, some conservative, some moderates, now it’s all left-wing nuts, so I don’t give them any money. They get no money from me. They hate prosecutors, they have the worst, most left-wing faculty, they’re just crazy. A Ockershausen:	Well that’s any university in America, what is new about that, Joe? Joseph diGenova:	Well, they’re crazies at Georgetown now. A Ockershausen:	If you want to go to a straight . . ., go to England. A Ockershausen:	Well, Joe, I had never heard that story, but that’s unbelievable. A Ockershausen:	It’s the oldest Catholic university in America. Joseph diGenova:	I was rejected because I have what they call industrial blindness in my left eye, I got about 50% of my sight, and they said … Here’s what’s so stupid about the draft, they wouldn’t take me, so I said, “Wait a minute, I can do paperwork. I’m a pre-law student, I can do … ” He said, “No, no, the doctor said to me, ‘We are not going to pay your medical bills for the rest of your life. '” Can you believe that? This was ridiculous. I could’ve been behind the lines, I could’ve been a warrant officer, I could’ve been supply master, they didn’t want me. Joseph diGenova:	I didn’t go to Canada, though, I did go for my physical and got rejected. A Ockershausen:	Well, Joe, there was a story in World War II that they found some guy that was partially blind but they found another guy that had bad arms, so they said, “We’ll put you with the bad arm guy and he’ll be able to see you, and you’ll be able to do this “cause you got good arms.” So they pair them up. Joseph diGenova:	Well, that was World War II, it was different. A Ockershausen:	Oh, and the world changed. A Ockershausen:	They were taking everybody. Joseph diGenova:	The Vietnam War was a disgrace in every conceivable way. A Ockershausen:	It was a terrible time for our country. Joseph diGenova:	What we did to the American troops is what was terrible. A Ockershausen:	I’m reading and I’ve been quoting stories that I found out from reading about the Korean War and the mistakes that were made by … Which was really not a new war, that was still a part of World War II. Joseph diGenova:	Sure, it was a carry over. A Ockershausen:	It was still going on. And what things our country went through in the early ’50s, it was incredible with that war and nobody knew about it much. You would go up and down the street and ask somebody about Puch’ŏn, they didn’t know what you were talking about. Joseph diGenova:	Incheon. It was the forgotten war and the soldiers from that war, just like the Vietnam soldiers, never got the adulation that they deserve for serving their country. It was a police action, remember that’s what it was called. A Ockershausen:	And it’s the best memorial in our city, is that memorial for the war of those guys. Joseph diGenova:	It’s fabulous. Absolutely fabulous. Joseph diGenova:	Yep. It’s amazing. A Ockershausen:	But Joe, I had part of that. You missed that, so we both missed the big war. But you had a great time in your law, how did you go from being a prosecutor, which did you become a prosecutor immediately or did you serve as a clerk? Joseph diGenova:	Well what happened was I clerked for a great judge on the D.C. court of appeals named George R. Gallagher who was a remarkable, remarkable guy. A Ockershausen:	I know that name. Joseph diGenova:	During the 1950s, he had been in charge with a couple of other people of prosecuting the American Communist party, and he became a great teacher to me about internal security, national security, and I really learned at his feet. He encouraged me to become an assistant US attorney, which I did. A Ockershausen:	He was a prosecutor? Originally? Joseph diGenova:	Yes, he worked in the Justice Department. A Ockershausen:	And then he because a judge? Joseph diGenova:	Then he became a judge. And he encouraged me to become a prosecutor, which I did and I became an assistant US attorney in the ’70s and then went to work up on the Hill for Senator Mathias for seven years. Joseph diGenova:	Good ol’ Mac, great guy. A Ockershausen:	Yeah, great guy, and we did a lot of work with him. Fortunately, he was a listener, he lived here in Our Town, so we knew Mac through all the promotions that we did with him. Joseph diGenova:	Oh yeah, real … Great guy, great guy. A Ockershausen:	Mathias was one of the few remaining live Republicans in the State of Maryland. Joseph diGenova:	Yeah, he was a serious guy, he got elected statewide many, many times. A Ockershausen:	He was a congressman, right? Joseph diGenova:	Yes, from Frederick. A Ockershausen:	Well, it was Connie Morella take his seat, eventually? Joseph diGenova:	Yes, yes, that’s exactly right. A Ockershausen:	We just talked to Connie, she’s in an American battle monuments today, she travels the world with that. A Ockershausen:	Is that right? When she was US Ambassador. Joseph diGenova:	When she was the ambassador to the OEO. A Ockershausen:	Did she give you the tour? Joseph diGenova:	Oh yeah, it was great. Had a wonderful time. A Ockershausen:	That’s a first-class place to be Ambassador, right? Joseph diGenova:	You can’t beat that gig with a beautiful home in the heart of Paris and staff. Tony forgot how to make toast. A Ockershausen:	Well, that’s such a plum for her and we love Connie. Joseph diGenova:	She deserved it. A Ockershausen:	Yeah, but did you work with John Tower? Joseph diGenova:	Well, actually, I did. John Tower actually was the first person along with some other people, Howard Baker, who brought me to Capitol Hill for my first gig, I was brought up there to work on the Church Committee, which is you remember in the 1970s was investigating the CIA and the intelligence community and the FBI. And so I worked for Tower and Baker and that was one of my greatest experiences was working for those two because I’ll never forgive Sam Nunn for what he did to John Tower when they wanted to make John Tower Secretary of Defense and Nunn went after him and chopped him down. There’s a great story about Sam Nunn, remember he ran for president? Joseph diGenova:	So he had to resign from Burning Tree, because it’s completely no women. A Ockershausen:	Right. No family. Joseph diGenova:	I think the only Black was Vernon Jordan. And so he resigns, so he does this ridiculous, unsuccessful run for President, does Senator Nunn, so he comes back right away afterwards and he says, “I’d like to rejoin.” And they said, “No way.” And I said, “That’s John Tower’s revenge.” They wouldn’t let him back in Burning Tree. He had to play on public courses for the rest, up until now. A Ockershausen:	People always tell me the average age for the members out there is deceased. Joseph diGenova:	That’s right, deceased. A Ockershausen:	In Burning Tree. But, John Tower, I got a quick story about John Tower. Out of the blue, he called me because he was referred to me that he was a jazz fan of some renown, he loved to listen to Felix Grant. Joseph diGenova:	Yup. Aw, man. A Ockershausen:	I said “Senator we would love that.”That’d be great, please do.” He said “That would be a treasure to me to meet Felix.” He just loved the guy. I don’t know why. And we had him, I had him speak at a party for the Republicans in Alexander, Virginia. They were running for office. And he came in and we played the music “happy days are here again.” He said to me, he said “that’s a New Deal song, that’s not my song.” He was on top of everything wasn’t he? Joseph diGenova:	He was a good man, I liked John Tower, he was a great Senator. A Ockershausen:	I know he liked a few cocktails. Joseph diGenova:	I used to watch him. He was a great orator, people forget this. He would come out on the Senate floor, no papers, no pre-written speeches by staff. He used to wear these three piece dark blue suits, pinstriped. He would stand there, and he’d put his thumb in the little pocket in his vest. Joseph diGenova:	And he would talk for one hour, never miss a beat, perfect speech and had no papers. I just would sit there mesmerized watching the guy. He was a classic senatorial speaker. A Ockershausen:	He worked in the radio station you know down in Texas. A Ockershausen:	He was a professional. Joseph diGenova:	He was a skilled orator. There are very few of those left. You look at the senate today, it’s like McDonald’s. It’s like talking to somebody whose making change for you. There are not great orators, and Schumer is the worst. The only thing he hasn’t done is cry on Senate floor. A Ockershausen:	He’ll speak at the drop of a hat, your hat. Joseph diGenova:	He hasn’t cried on the Senate floor, and I think that coming to a theater near you. A Ockershausen:	He was close to it this morning. A Ockershausen:	But he can appear anywhere. He is Mr. Ready, you know. He’s ready to speak at a moments notice. No matter what the subject is. Joseph diGenova:	Yeah that’s true. Joseph diGenova:	I’m glad you’re having a good time. A Ockershausen:	Yeah. Andy Ockershausen, and this is Our Town. And remember I want to remind you, Our Town is Annapolis, Our Town is Vienna, Virginia we go all the way to Winchester. This is the WMAL signal that can’t be beat. A Ockershausen:	This is Andy Ockershausen and this is Our Town. And we’re talking to Joe diGenova, the erstwhile star of WMAL radio, who became a star back on WMAL and we’re so pleased about that. And we were talking about Senator Mathias, did you work for him when he was a Congressman too? Joseph diGenova:	No, I only worked for him, I went to work for him in 1976. A Ockershausen:	And did he get beat or did he give it up? Joseph diGenova:	No, he gave it up. He was reelected and then he decided not to run again. A Ockershausen:	Right, he was always Mac Mathias. A Ockershausen:	It was one word. Joseph diGenova:	That was his middle name. McCurdy. It was a Scottish name. Charles McCurdy Mathias. McCurdy. A Ockershausen:	Tis a good Irish name. Joseph diGenova:	No, no it was Scottish. A Ockershausen:	Oh, really. I did not know that. Joseph diGenova:	1980, I went there with Mac, he was the chairman of the Maryland delegation and when I was there we went to the ERA march and in the middle of that march I saw this beautiful redhead in a white Susan B. Anthony dress. And she was pretty hot, so I went up to her and she was selling these little pins, they were gold pins, it was an elephant and it said ERA GOP because she was trying to keep the equal rights amendment in the platform. So I went up to her and I said what are you selling, and she said I’ve got these beautiful gold pins. I said how much are they, she said three, I said how many do you have, she said thirty, I said I’ll give you ninety bucks, give me them all. A Ockershausen:	Wow, what an impression. Joseph diGenova:	I gave her ninety bucks, I took the gold elephants and I said do you ever come to Washington, she said yes. I said well, why don’t we have dinner, and ten months later we were husband and wife. A Ockershausen:	You’re a quick mover. Joseph diGenova:	She was a great lady. She was lecturing at the Justice Department, she was one of the best prosecuters in the country, she had actually developed all of these airport searches for the international drug smugglers. It actually went to the Supreme Court and she won, big case on drug smuggling. A Ockershausen:	She argued it herself? A Ockershausen:	Have you been in front of the court? A Ockershausen:	Did you have any cases that the court decided? A Ockershausen:	For the District of Columbia? Joseph diGenova:	Yeah, for the United States government office in the District of Columbia, right. A Ockershausen:	Well, Joe your career is so stupendous in all the things you’ve done, why didn’t you follow Mac into politics? You are in politics. A Ockershausen:	And you worked hard, I know that. Joseph diGenova:	Yeah, I worked too hard actually. But I believed if you’re a prosecutor, you do so many difficult, dangerous and important things that it’s not a good idea to be a politician, because then forever, if you ever do anything else people suspect your motives, they wonder why you did things. I didn’t have the stomach or the interest. My interest in politics, I was a political scientist, that was my major in college. Joseph diGenova:	No, no, no. University of Cincinnati, it’s great, I went there because they had one of the best political science departments in the country. A Ockershausen:	That’s a Catholic school, is it not? Joseph diGenova:	No, no, no, that was Xavier. A Ockershausen:	Xavier, I beg your pardon. Joseph diGenova:	They were in town together. And I loved political science so to me, the way to be in politics was to be in the law and in Washington D.C. So I came here and my goal was to become involved in politics through the law by going to work on Capitol Hill, which I did. I worked on the Hill on all kinds of committees for Mac, then I became a Special Prosecutor over in the House of Representatives investigating the Teamster’s Union in the 1990s. A Ockershausen:	Is that Beck? Joseph diGenova:	No, no, that was Carey, he was the so-called reform president, who actually was not very much of a reformer. And then I got to be a Special Prosecutor under the statue and investigated the people who rifled Bill Clinton’s passport files, you remember that, back at the end of the Bush administration, the first Bush. A Ockershausen:	Yeah, H.W. Herbert Walker. Joseph diGenova:	And had the opportunity to interview Jim Baker, who was the chief of staff at the time, and a bunch of other people. Jim was represented by, what the hell was his name, very famous lawyer here in town. Anyway, I’ll remember, Lloyd something or other. Joseph diGenova:	Yeah, no, Plato, god bless him. A Ockershausen:	One of my favorite Greek words. Joseph diGenova:	One of the best. A Ockershausen:	Plato Cacheris. That’s a Mo Siegel line, he used to use that on him all the time. Now but in the 1980s with the Reagan convention, correct? Joseph diGenova:	Right, 1980, and that’s where I met Victoria Toensing, my wife. A Ockershausen:	He had an opponent in the 1980 convention, that was George Bush. Joseph diGenova:	Yes, right. That’s right. And then of course after he picked him to be VP, in a great move. Joseph diGenova:	Yeah at that point it was just the two of them. A Ockershausen:	I was at an ABC meeting, ABC used to own this radio station, we had an ABC meeting in Chicago and we’re sitting in a bar one night with my dear friend Ernie Fears, the first black general manager in America of a radio station and he was WMAL FM. And we’re sitting there just chatting and who came in but George H.W. Bush, alone, no handler, it was the campaign. And he came over and sat with us and we just had the best time, what a delightful man. Joseph diGenova:	Yeah he was a good man. A Ockershausen:	He had a cocktail with us, we wouldn’t let him pay, and he accepted it of course. But he got to meet Ernie, he was a famous local guy. And George, from that time on, he became for some reason, very close. I played tennis with him, played with him at the White House. But George H.W. was a different man, he was a great man. A Ockershausen:	That was George. That was H.W. Joseph diGenova:	It was just amazing. And he wrote me a letter after that, about a year later, when I finished the investigation and I exonerated everybody. He wrote me the loveliest note, thanking me for being so professional. And I’ve saved it. It’s just unbelievable. He didn’t have to do that. A Ockershausen:	I sent him one time a picture of me and I autographed it, to my pal George, Andy O. And he wrote the nicest note back, I’ve got it somewhere, he said I don’t know who that other guy was but you really look great, Andy. I kept it…it’s a treasure. That’s the kind of man he was. Joseph diGenova:	You know it was really great to see him and Barbara at the Super Bowl, that was spectacular. A Ockershausen:	He didn’t look good. A Ockershausen:	He says he’s going to jump out of the airplane now. Joseph diGenova:	End of the road. A Ockershausen:	She’s not going to let him do it. Joseph diGenova:	Yeah he’s had a long, happy, and wonderful life. A Ockershausen:	What a wonderful man. But so are you, Joe, and I’m so glad you’re back on WMAL. Now, you don’t do any prosecutor work anymore but do you represent anybody, of course everybody you represent is innocent. A Ockershausen:	Keep that up. Joseph diGenova:	Yes, that’s very important. A Ockershausen:	Do you have a lot of high profile clients in the crime world? Joseph diGenova:	Well, no, no, no. Well we have a very interesting practice. Sometimes we represent countries, sometimes we represent companies, sometimes we represent trade associations, individuals, we do civil, criminal, lobbying. Joseph diGenova:	Yeah, yeah, now. I’m not a prosecutor anymore. Sometimes we do civil suits as plaintiffs, civil suits as defendants. We have what I call a garden variety Washington D.C. practice, we just fix things. We just fix things for people. A Ockershausen:	And a great fixer never goes to court. A Ockershausen:	But Joe, but you can be a prosecutor if you’re suing somebody, can you go to court and prove your case? Joseph diGenova:	Well, sure that’s what lawyers do, sure civil. A Ockershausen:	I mean you still do that, which is what a prosecutor does, proves the case. Joseph diGenova:	Sure, well it’s a civil case, you’re representing a private person or a company or something. Yeah we do that. A Ockershausen:	And both, how big is your firm? Joseph diGenova:	Oh, it’s very small, we have four lawyers and that’s it. Me, my wife, Victoria Toensing, our son, Brady Toensing, and a wonderful young partner named David Cluck. A Ockershausen:	And you make a lot of money, of course. Joseph diGenova:	Well we try to pay the bills. A Ockershausen:	Joe. Andy Ockershausen talking to Joe diGenova and we’re going to take a break now and have on some very important spot that we will get paid for. Thank you, Joe. Announcer:	You’re listening to Our Town, with Andy Ockershausen. Brought to you by Best Bark Communications. Joseph diGenova:	You should hear the stuff off air. A Ockershausen:	Very dear friend, Joe diGenova. With so much Joe, that you know we listen to you on the radio, so a lot of people are going to hear this. More people will hear this comcast than will hear you, I’m sorry, podcast, Comcast is my old company that fired me. I made a mistake. But, talking about Benghazi, you’ve got a great story about Benghazi. Joseph diGenova:	Well, Victoria Toensing and I, Victoria did most of the work but I was present, and we represented Greg Hicks, who was the Deputy Chief of Mission at the time that Ambassador Stevens was murdered by the terrorists. And we’ll never forget, Greg was a great hero, he helped the people organize that night, and what happened was, when he spoke to us from Tripoli, he said the American people have been lied to. Susan Rice had gone on television and lied on five consecutive television shows that it was the video, it wasn’t a terrorism attack. They knew immediately, in the Administration, that it was a terrorist attack. Joseph diGenova:	They knew that night. And in fact the CIA conferred. So Greg came back, and he criticized, privately, inside the Department, Susan Rice, and told the Hill that she had lied. A Ockershausen:	She was NSA, right? A Ockershausen:	She had been at the UN. Joseph diGenova:	Yeah, I think she was the National Security Advisor. And she lied, I mean she went on television, Susan Rice, and lied to the American people. A Ockershausen:	All the morning talk shows. Joseph diGenova:	So what they did was they retaliated against Greg Hicks. They put him in a cubicle, they brought him back from Tripoli, they put him in a cubicle, they tried to strip him of all his responsibilities, which they did. And then they tried to fire him, and Victoria worked desperately to help him. And she got Lindsey Graham to help, and eventually he was given a sabbatical so he could take a term at a think tank and then he retired, and now he’s doing national security work outside of the government. But he’s a great American, and this is why Hillary Clinton, I am so delighted that she is not President of the United States. Let me ask you this question, how could you get up every morning, knowing that you did absolutely nothing to save lives in Benghazi. You and Leon Panetta and everybody else associated, how in the world do they get up every morning and not have guilt? Joseph diGenova:	And you know what, that’s exactly why she never should have been President of the United States. And I say to all the people, all of us who worked on Benghazi, and tried to make the American people aware of it. It’s the best unpaid, free legal work we have ever done because it helped defeat her, and I’m glad it did. Joseph diGenova:	Oh, please, please. A Ockershausen:	I mean it’s just ridiculous. Joseph diGenova:	I will take the case, I’m a reasonable prosecutor, I will take the case. A Ockershausen:	White wash. Well Joe, one of the great things about you that I remember, that I grew up with, was Mayor Marion S. Barry, right. Joseph diGenova:	Yes, yes. The one. A Ockershausen:	And you had so many run ins. Joseph diGenova:	Well you know, Marion Barry was a very interesting public figure. He did a lot for the city in his own way, he was beloved by the citizens and at a time, this was a nascent democracy. You know they got home rule in 1974, although they had had home rule much earlier in history, under Bosch Shepard, who had paved the streets, put in sewers. A Ockershausen:	Who built northwest Washington. Joseph diGenova:	Yeah. You know, but the bottom line is Marion Barry was a complex figure, interestingly enough, he wasn’t a crook, he didn’t steal money. A Ockershausen:	Not a dime. Joseph diGenova:	He was the kind of person, he had a dependency on drugs, he was a cocaine addict during his entire tenure they had to worry about whether he was going to pass out during meetings of the City Council and the cabinet and all that. And he was a complex man, but you can’t be a public official in the middle of a drug crisis and be a cocaine user. And the problem at that time, in the 1980s, practically everybody in the city was doing coke – wealthy people, poor people, people in government, people in business, realtors, developers. And so the fact that Marion Barry was doing drugs didn’t mean a lot to a lot of people. And what happened was that was the reason the city became a nightmare of drug peddling, guns, homicides, killing. And that’s because the culture in the city, which he lead, and he was the biggest part of, was a pro illegal drug use culture. And I don’t know, where do you go from there? I mean what do you expect is going to happen if you think that using coke and heroin is great. All these kids died from overdoses. A Ockershausen:	Bad years, bad years. Joseph diGenova:	Crack cocaine came in during that time. And then we had all these other drugs. A Ockershausen:	Were you the prosecutor then? Or were you in private practice? Joseph diGenova:	Oh yeah, no I was five years, five years. During my tenure from 83-88 one of the worst, and of course we had all kinds of government corruption, we convicted all kinds of Deputy Mayors. You know we investigated the Mayor’s drug dealer because what are you going to do? You find out the mayor is doing drugs in the middle of your drug deal, what the hell are you supposed to. A Ockershausen:	Was it Edmonds? Joseph diGenova:	No, no, that was Karen Johnson. A Ockershausen:	Oh, I remember that name. Joseph diGenova:	Remember Karen Johnson? A Ockershausen:	Sure, sure, I remember her. Joe you had such great things with Our Town. Joseph diGenova:	Did some spy cases and everything. We did the first big terrorism case. You remember from suburban Maryland, there was a very fine Navy SEAL named Robert Stethem, who was murdered on the tarmac in Beirut, TWA847. Victoria, my wife, led that case, led the investigation and we actually, it was in our office, Washington D.C., that’s where the venue was. And we actually went to Germany because the Germans accidentally captured the murderer, and they had him and they just didn’t want to keep him, they wanted to let him go. So they said here’s what the Germans thought, let’s make all the people on the plane come over, we’ll get Uli Derickson, remember the famous stewardess who tried to prevent the hijackers from killing more people? They said, let’s bring them over, we’ll have a line up, they’ll never be able to identify him, we’ll say it’s not the right guy, and we’ll send him back to Beirut. So, we all go over with the witnesses, they have this crazy line up. A Ockershausen: How big of a number of people? A hundred people? So we go into this room, and then here’s what they do, they give each one a number, then they take them out and then they put a different number on each one for each viewing. They go out, every single witness nailed the guy. And the reason was why, everyone of them said, I will never forget those eyes. A Ockershausen: Wow. Nailed him through the eyes, huh? A Ockershausen: Wow, absolutely, probably his own people. Joseph diGenova: Intelligence operatives from all over the world were involved in this, he was actually blown up in a car accident. A Ockershausen: Alone, I hope. A Ockershausen: Joe, what is the situation now worldwide? Is there still a great group of people, everybody spying on everybody else now? But most of it’s on the web, isn’t it? Joseph diGenova: Most of the spying that’s done is done electronically. A Ockershausen: That’s what I was saying. Joseph diGenova: And given the access to information that people have, because of the crazy devices that people use, it’s pretty easy to spy on people. We saw from our own NSA program where we were scooping up all of the emails and phone data, what was called the mega data, that we could gather all that. And it’s very important, by the way, to have that, I’m in favor of gathering that data and then getting special warrants to go and look at it. I think it’s crazy not to gather it, I think you’ve got to be out of your mind not to gather it. A Ockershausen: If they’re out there, you’ve got to find them. Joseph diGenova: With people, with what’s going on in the world. But there are still human spies, we have them in this country, we catch them all the time. A lot of industrial spying, the Chinese, and the Japanese try to steal from American companies because the most important thing to them is technology. The Chinese are the worst, and they’re very smart, they’re very good at what they do, and they have tremendous support from the Chinese government for their spying. They have special little towns where they do nothing but have spy centers, where they train people and teach people, and we need a robust national security agency, and really it’s a good thing people don’t know what the NSA can do, because if they knew they wouldn’t believe it. It’s beyond Star Wars, what the NSA can do. A Ockershausen: I’ve heard about beyond Star Wars, and there’s so much going on in that world that goes way over my head. Joseph diGenova: That’s why all this crap about Trump and the Russians, this is like a two minute investigation. They know this, everybody at NSA knows whether they’ve got information or they don’t. And the answer is they don’t because if they did, that would be leaked too. A Ockershausen: Yeah but this makes good headlines though. Joseph diGenova: Absolutely, this is so stupid. I tell you what I say, if I were the attorney general, I would have a grand jury tomorrow, I would issue subpoenas to every senior, former Obama administration official, put them in that grand jury, start asking them questions. There’s a very limited number of people who had access to those phone calls and the transcripts from them, extremely limited. This is a no brainer, you could do this is your sleep. A junior prosecutor can make this case, this is not like the old days, this is like John Brennan says he’d be happy to cooperate. He’d be the first one in the grand jury, if I were running it, the first one. A Ockershausen: Joe, this is a great, great conversation. And it’s a pleasure to be with you and hear all these stories because the good old days of tracing Marion Barry have been replaced by important job, you’re a defense attorney. Joseph diGenova: Just think, D.C. statehood is just around the corner. A Ockershausen: Who said that? Joseph diGenova: According to Muriel Bowser. A Ockershausen: Oh, poor Muriel. She stuck out there saying they’ll never have the Redskins and the public doesn’t care what she says. I don’t know what your feelings are, but we want the Redskins to play in the city of Washington. Joseph diGenova: Build a stadium. There’s plenty of money around to build a stadium. A Ockershausen: Tear down. There’ll be money for that. Joseph diGenova: Oh my gosh, of course there would be. And you know who would get it done, Trump. If they want to build a stadium, he’ll say you want it done, I’ll make sure it happens. He’ll get the financing, he’ll get the builder, and it’ll be done on time, under budget, maybe done ahead of time. Joseph diGenova: Poor John, God bless him. Joseph diGenova: I remember meeting with him shortly before he died, and God bless him, he was a lovely man, he cared deeply about the city, but if you spent five minutes with him you knew he was tortured by life. It was very sad. Joseph diGenova: And I liked him, I liked him, I really liked him. Joseph diGenova: I thought he was one of the more decent politicians who cared. And he was not corrupt. John Wilson was a really decent man. A Ockershausen: Absolutely. After you said about Marion, of all the things we know about Marion, and we know a lot, he never was in it for the money. Joseph diGenova: Nah, he wasn’t. Marion wasn’t a crook, he was just a drug addict. I mean that’s what he was. A Ockershausen: Very popular figure in our lives. Joseph diGenova: Booze, women, and cocaine. Booze, women, and cocaine. A Ockershausen: He used to always call me out of the blue to get on the air when he wanted some public support. Joseph diGenova: God, put him on. A Ockershausen: He’s a great guest. He did like this *sniffles*, so he’d excuse himself in the other room, and come back *sniffle* I’m ready! Joseph diGenova: Oh my God. A Ockershausen: But Joe this has been a wonderful, wonderful conversation, I’m so pleased you’re part of WMAL’s life and our family and Victoria is. But we’ll always be there for you, maybe you don’t get paid but we’ll always be there for you, Joe. Well you did some work for us at Comcast SportsNet too. Joseph diGenova: Once in a while. A Ockershausen: Do they still call you now? Joseph diGenova: I haven’t been there now for about a year or so. A Ockershausen: Roger Cossack has taken over the whole world. Joseph diGenova: Has he? God bless him. A Ockershausen: He’s back in, he teaches at Pepperdine. Joseph diGenova: Right, right, I remember. A Ockershausen: What a life. But Joe, thank you so much. Joseph diGenova: Thank you, Andy, delighted to be here. A Ockershausen: Send my love to Vicky, Victoria. A Ockershausen: And I hope to see you at your next birthday because next time I want to see you sing. Joseph diGenova: It’s a deal. A Ockershausen: We’ll have a party for our second season, we hope you and Victoria will be here. Joseph diGenova: We will, we promise. A Ockershausen: Kick off on 2. Joseph diGenova: Okay, that’s cool. A Ockershausen: Joe diGenova, this has been Our Town, this is Andy Ockershausen, and we’ve had a wonderful conversation. Announcer: You’ve been listening to Our Town, Season 2, presented by GEICO, our hometown favorite, with your host Andy Ockershausen. New Our Town episodes are released each Tuesday and Thursday. Drop us a line with your comments and suggestions. See us on Facebook or visit our website at ourtowndc.com, our special thanks to Ken Hunter, our technical director, and WMAL radio in Washington D.C. for hosting our podcast, and thanks to GEICO. 15 minutes can save you 15% or more on car insurance.